AirQ: Cache host moved for the way of Christmas! 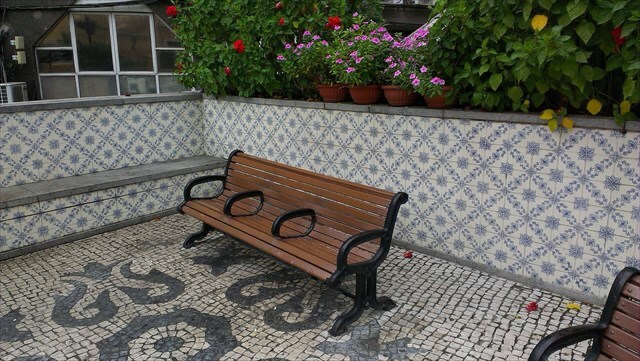 BYOB, a nano near The Cathedral of Macao. Info from the plate near the Cathedral. Build around 1622, the Cathedral was originally constructed in Taipa, a compound material consisting pf clay and straw that us compacted in a timber frame. 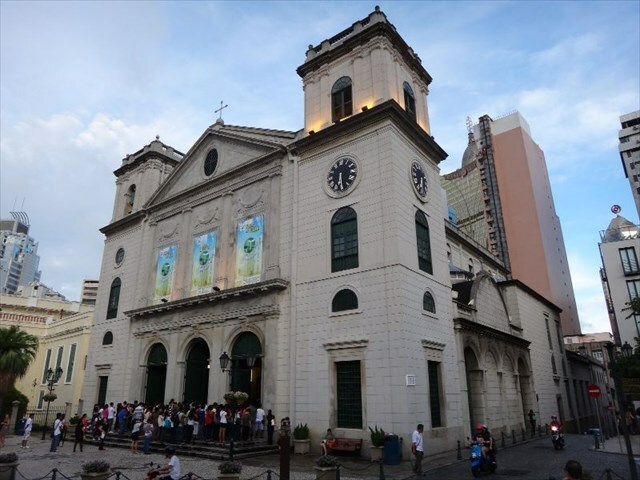 The Church was reconstructed between 1844-1850, according to the design of Macanese Architect Tomás d’Aquino. The present-day configuration is the result of the reconstruction works carried out in 1937. In the old days, the Governors of Macao used to accept their official posts in the context of a public ceremony that was celebrated in the Cathedral. Above the main entrance we can see Latin inscription “SS.M.V. MARIAE NASCENTI” corresponding to the dedication of the Cathedral to the Virgin Mary.